Beautiful, ergonomic and comfortable, this rectangular bathtub features harmonious angles and curves, with a large bathing well and built-in armrests for pure pleasure. Total width :35 7/8 in. Interior width (floor) :19 3/4 in. Interior length (floor) :46 1/4 in. Interior width (top) :28 5/8 in. Bath’s total height :23 1/2 in. Interior length (top) :67 5/8 in. Total length :71 7/8 in. Maxi-comfort water depth :17 1/2 in. Mass-air System – The peaceful feeling of a cushion of warm air. Activ-air System – The effervescent energy of white water. Make the most of the experience by combining our different systems. Benefit from a complete range of massages that can relax or stimulate you depending on your mood or need. Produits Neptune proposes four combo options. 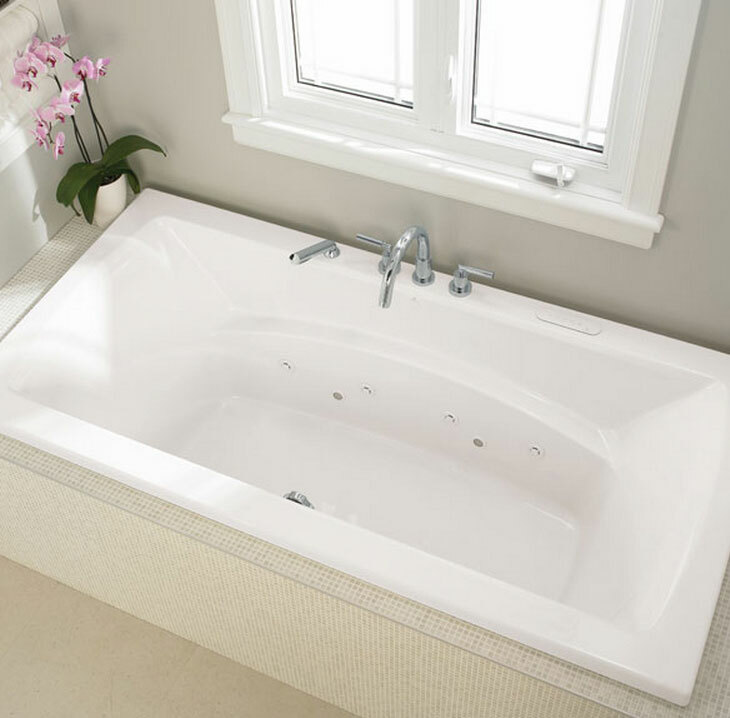 To know which options are available with your chosen bathtub, please refer to bathtub’s page. if you are renovating, redesigning or simply building a new bathroom let Neptune Believe 3672 rectangular bathtub add class and style to your bathroom.